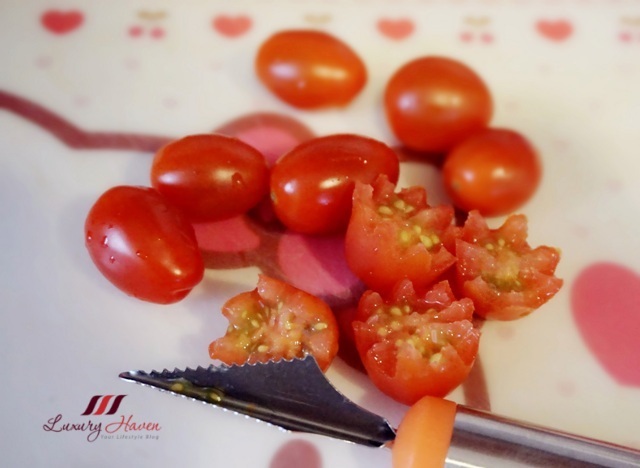 Rinse and cut tomatoes into halves. If you have a fruit carving tool, use it to create patterns. Set aside. 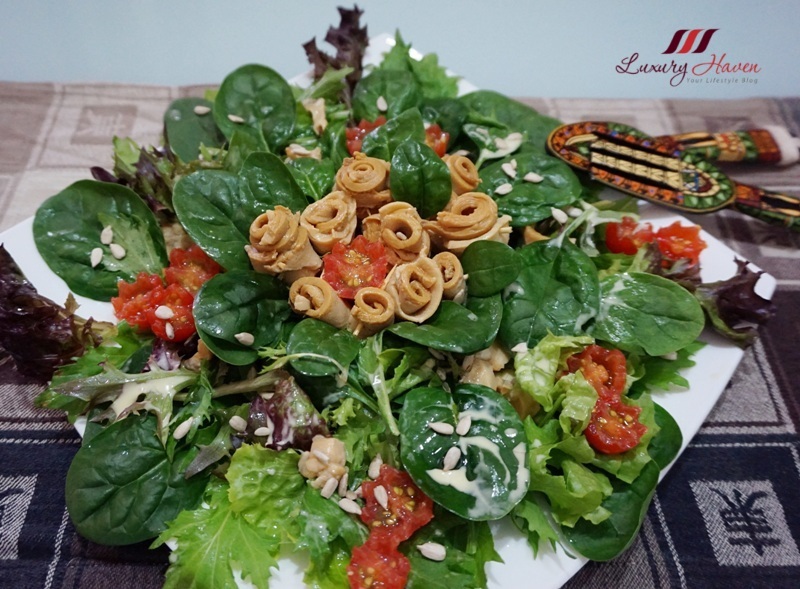 Rinse salad and place them on a serving plate. Drizzle olive oil and Avocado dressing. 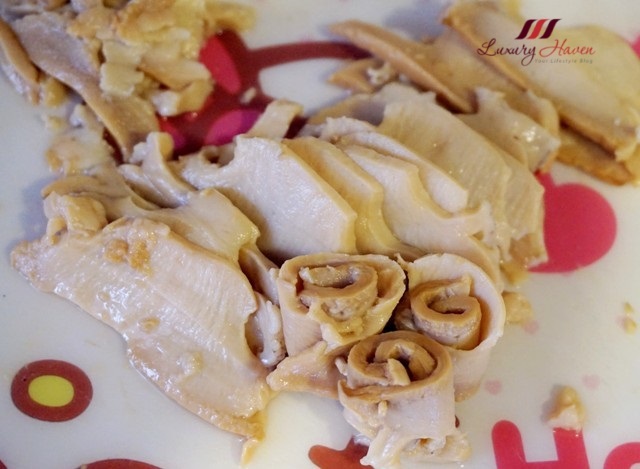 Remove abalone from can and cut into slices. 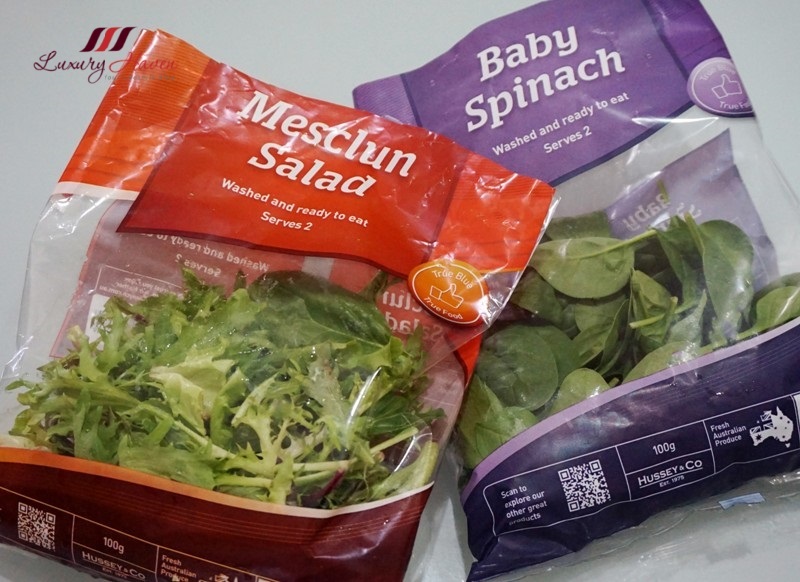 Roll some up for food presentation, and mix the rest with salad. Keep the brine for next cooking session. 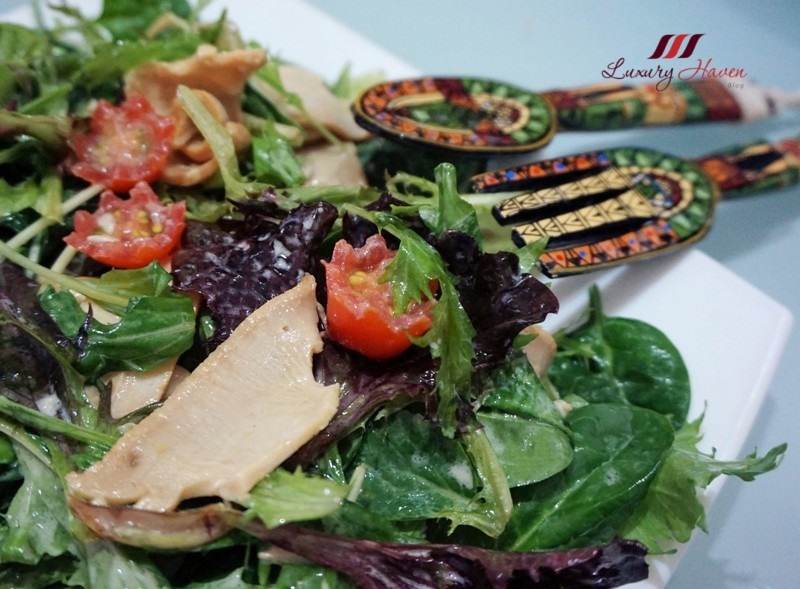 Lay cut tomatoes neatly on plate, sprinkle the sunflower seeds and top with more abalones. 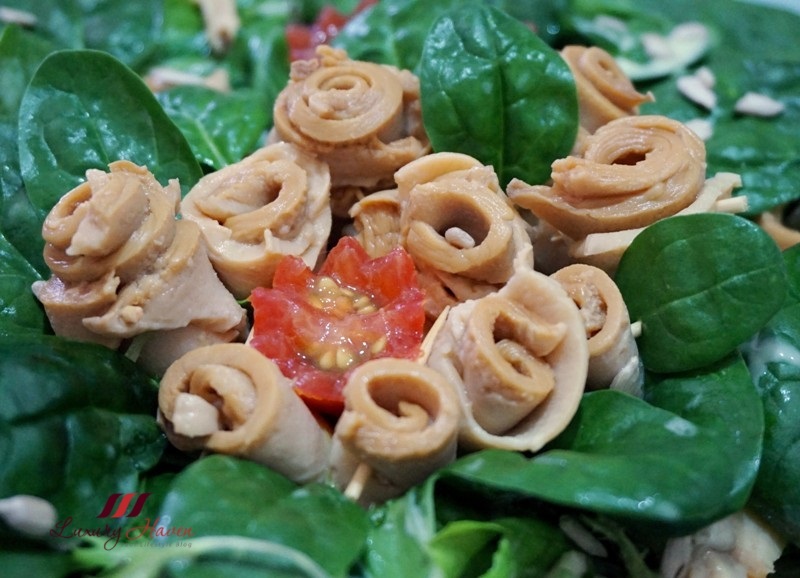 Toss salad well when serving your Healthy Abalone Salad with Avocado Dressing ( 鲍鱼沙拉配鳄梨酱 )! Wow! Such a special recipe! What a lovely salad! The dressing sounds so yummy. I am always impressed with your cooking creativity. Can I adopt you to be my sister? Got free makan!! You come, I feed you! Hahaha! Thanks for sharing, great recipe! Wow! Everything looks super delicious! Style and a class about the rest. Yum. I would love to eat this salad even without the dressing! What a yummy and healhy recipe! This sounds so tasty and your presentation looks amazing! I do love avocado. Think I'd like this dressing. 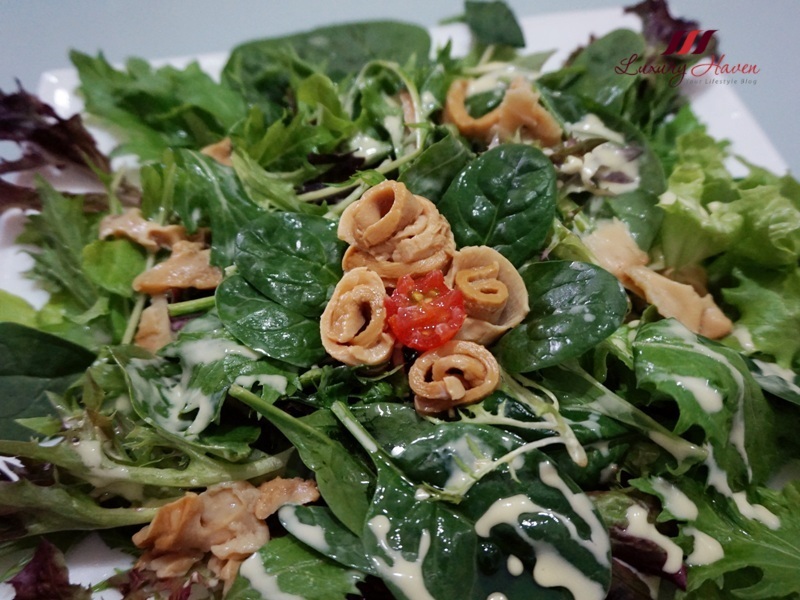 Shirley, I just love the little touches you do to make your food pleasing as well as palatable -- the tomato garnish and lil' abalone "rolls" make this salad irresistible. Beautiful table cloth and salad servers, too! Yummy and an interesting way to use abalone! My family usually eats it with porridge and cold dishes! Aww...I must grab that avocado dressing...look and sound too good to miss.